This decked out Betsey Johnson clutch will have you feeling as if your on a warm weather vacation! 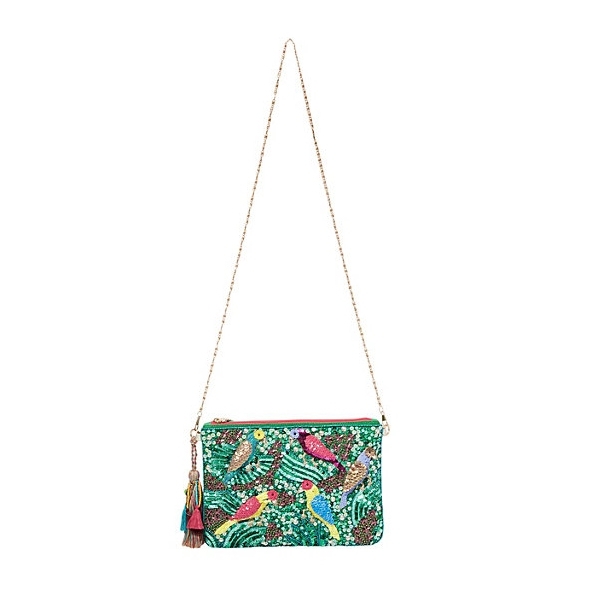 Its compact shape fits everything you need, while its sequined surface of colorful birds adds a playful touch and optional strap allows multi carry options. 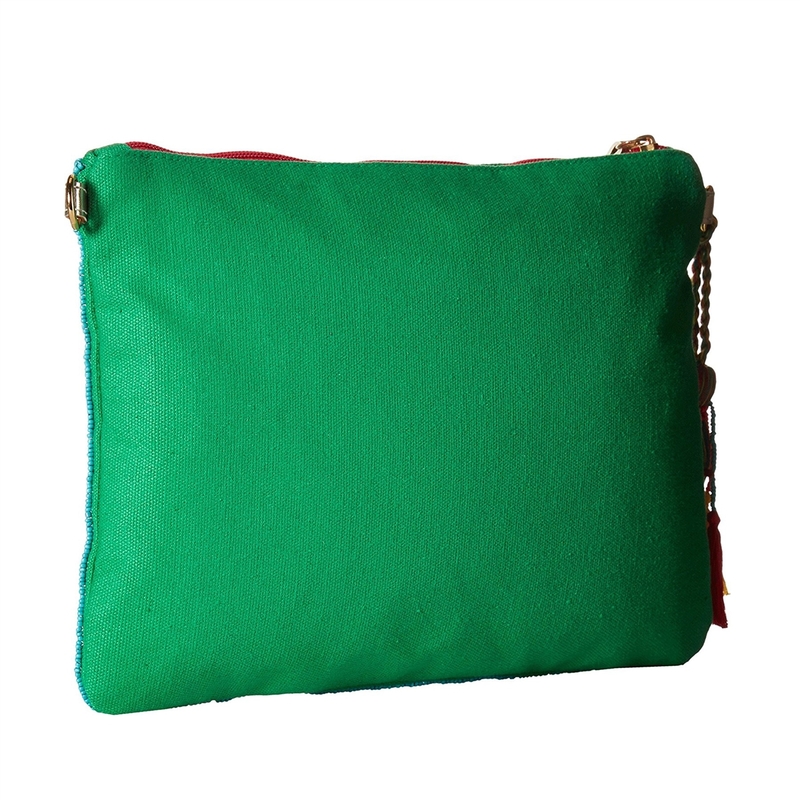 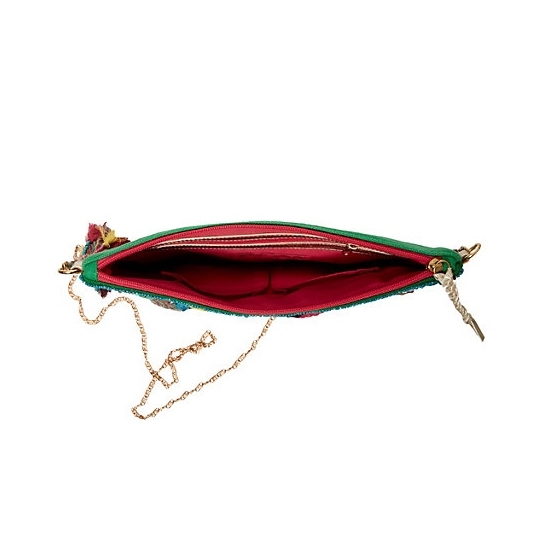 Convertible flat clutch crafted in fabric. 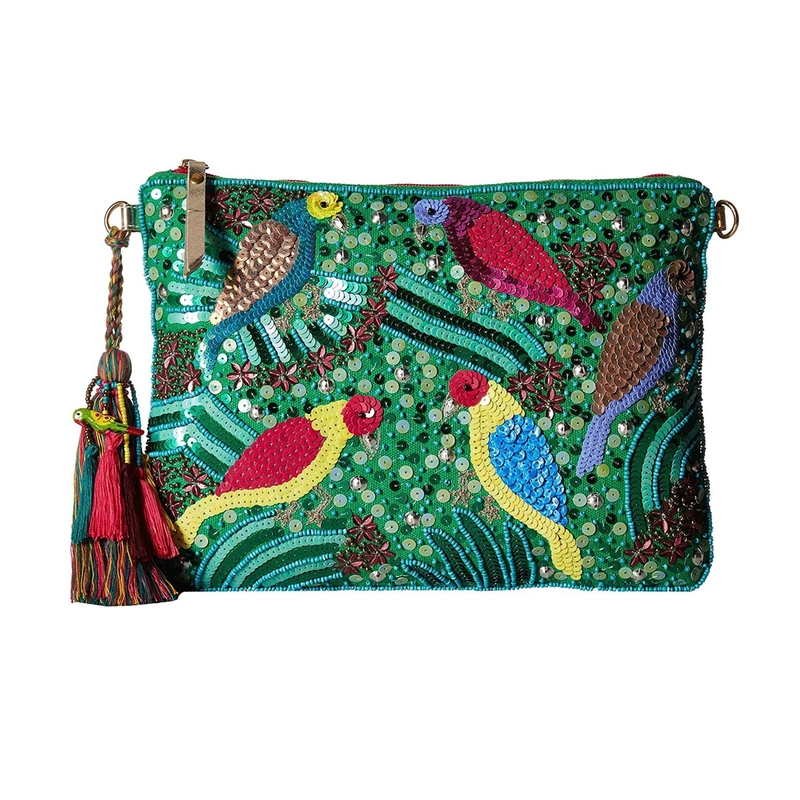 Front features a beaded tropical bird motif. 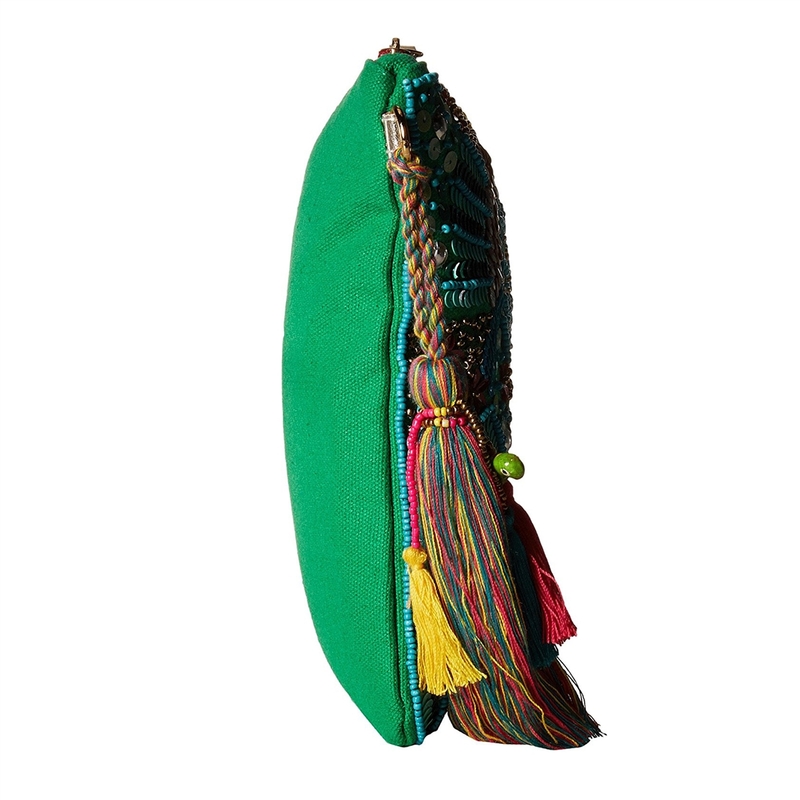 Large colorful tassel bag charm.